Photo by Carl Thorose. Used by kind permission. 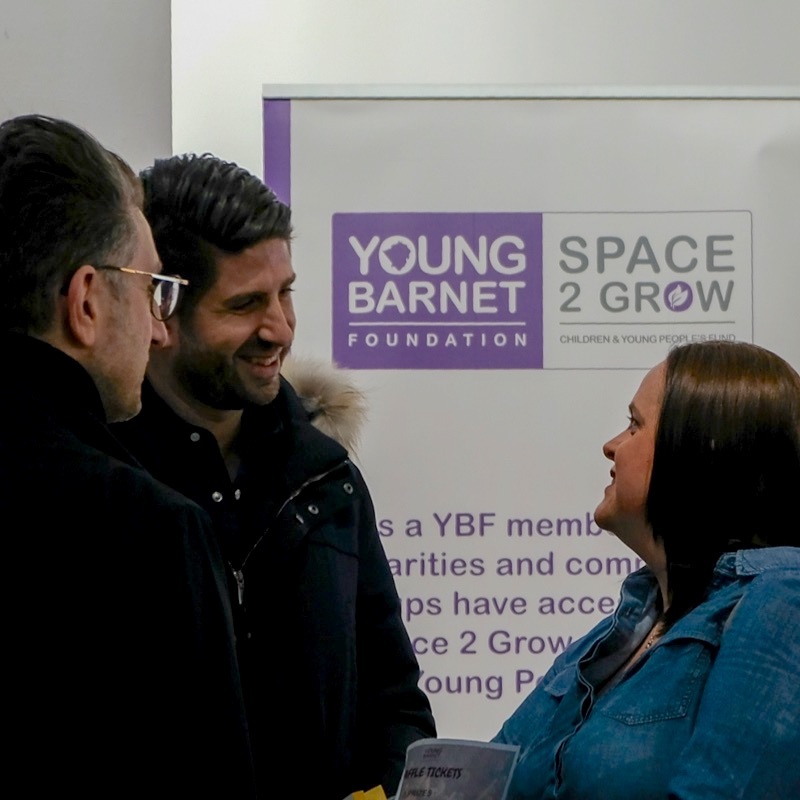 It was all part of a special Q&A Evening put on in April and in aid of Young Barnet Foundation (YBF), held at the Arts Depot in Finchley with Summer Soulstice proud to be the event’s reception sponsor. 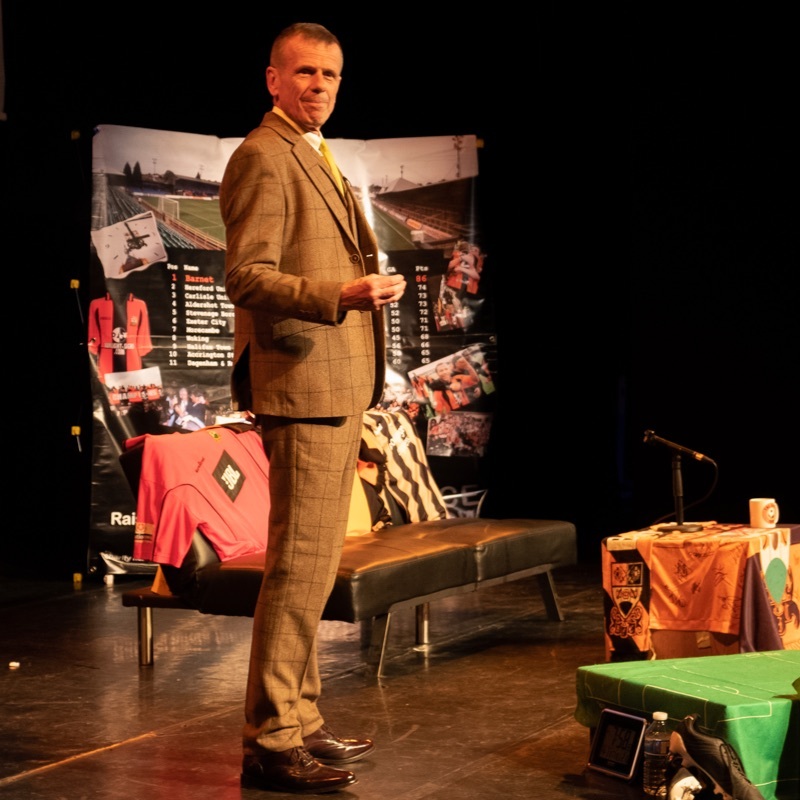 Led by YBF ambassador Giuliano Grazioli and compèred by actor and writer Tom Watt, the audience regaled with tales of that magical season for Barnet FC fans. 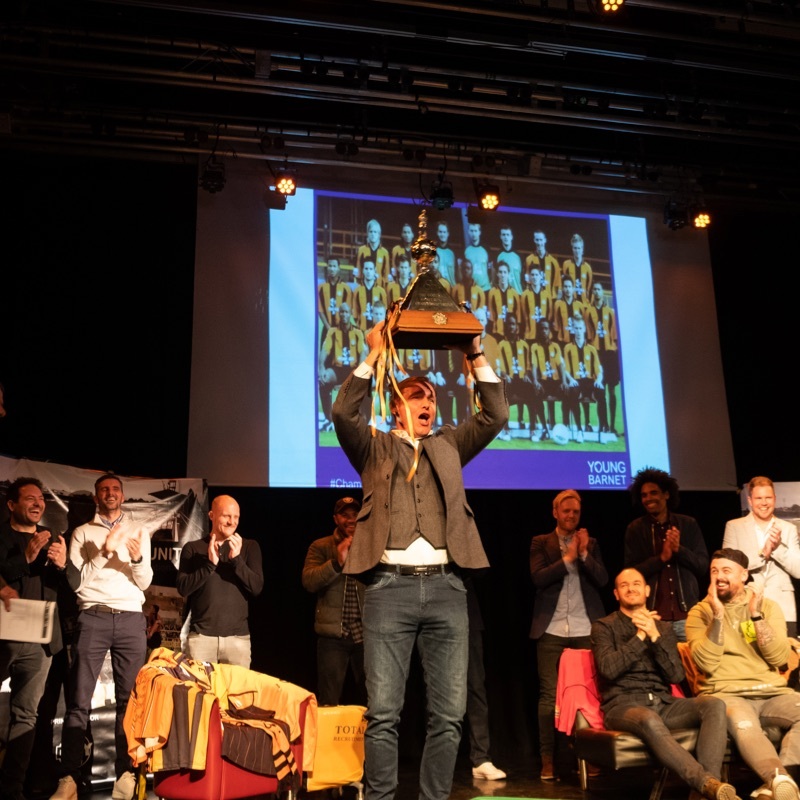 The players were also joined on stage for the evening by ‘special guest’, the Noel Kelly Championship Trophy, which was borrowed for the event from the National Football Museum with thanks to the National League. Thanks also went out to the generosity of the attendees, including a successful auction and raffle, the prizes of which were all 2004/05 champions related and raised in excess of £3,700 for YBF. Their CEO, Janet Matthewson, thanked everyone who came and supported the event. “I can truly say everyone seemed to be enjoying themselves,” she said afterwards, “I hope those who attended learnt about the needs of our local charities and the work they are doing in our communities. The Young Barnet Foundation is a membership movement set up to help grow activities and services for children and young people. They believe children and young people need safe space to grow and develop into resilient adults. For this, all children and young people need opportunities for learning and fun, beyond family and formal education, building strong trusted relationships with adults and their peers; leading to broadened networks, increased confidence and valuable life skills. They continue to support the delivery of youth services in Barnet.